In June 1969, the Cuyahoga River caught fire from floating oil and combustible debris as it wound through Cleveland. While not the first river fire, it was the last for this and other industrial rivers. Federal laws enacted in the early 1970s, in particular the Clean Air Act and the Clean Water Act, and the creation of the Environmental Protection Agency (EPA), began a more than 40 year uphill effort nationally to reduce intense smog and filthy rivers. New regulations required catalytic converters in motor vehicles; pollution capture technologies for factory air emissions; filter and treatment technologies for factory liquid wastes discharged into rivers; and more advanced municipal wastewater treatment plants for human waste and street runoff. All slowly reversed the extreme degradation of our rivers and air from unfettered industrial development. 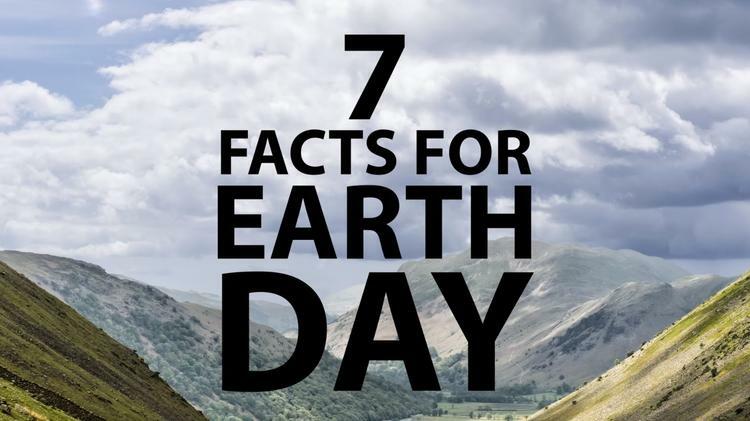 Ten months after the Cuyahoga River fire, the first Earth Day was launched. On April 22, 1970, 20 million people took to the streets in what was the largest political demonstration in history. They walked into polluted rivers with scuba gear, demonstrated at stockholders’ meetings of corporate polluters, and conducted peaceful actions in front of the Interior Department. Ten thousand schools, 2,000 colleges and universities and almost every community took part. The U.S. Congress formally adjourned so that senators and representatives could attend teach-ins in their districts. That afternoon I took my twenty-five eleven-year-old students to walk along the Brandywine Creek, which bisects Wilmington, Delaware. Maybe we picked up trash, maybe we just walked on the cobbly streambank – I don’t remember. The kids were mostly from the older, struggling east side of downtown Wilmington and the younger, uglier, angrier projects off Northeast Boulevard. They were second-class children in a state purported to have the highest per capita income and PhDs in the United States. Downtown Wilmington, a stone’s throw from where we walked, was embellished with the Hotel DuPont and the DuPont corporate headquarters. Otherwise, it was a city of de facto segregated housing and schools. A few years earlier, the National Guard had policed downtown streets, so raw and so threatening was the anger of urban African–Americans in the face of blatant, punishing racist neglect. I remember asking myself, as I watched kids jumping from stream boulder to stream boulder. 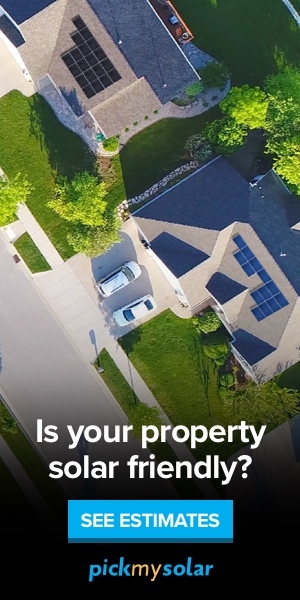 What does this have to do with them? What do clean streams have to do with literacy, jobs, housing, and human dignity? Time and events would answer my question. The 1980s ushered in EPA’s Superfund and hazardous waste programs, the goals of which were to identify the most toxic of solid and liquid manufacturing waste flagrantly buried on industry site in drums and catchall landfills, leaching into groundwater and nearby water bodies or burned in open air and in unregulated incinerators. It was in this decade that I found the answer to my question: What does Earth Day have to do with my eleven-year-old second class citizens? The Housatonic River was neither drinkable nor swimmable and its banks hosted health warning signs for those fishing, when I was assigned in the early 1980s, as an EPA environmental engineer, to oversee the study of the river’s pollution for eventual cleanup. The General Electric Company’s transformer division in Pittsfield, Massachusetts had used the river as a sewer for their toxic PCB waste, which magnified in the river’s food chain and concentrated in fish. Studies showed that the contaminated sediments carried by the river amassed behind downstream dams. The challenge of possible dredging and burying the contaminated sediments in a protected site took me to meeting upon meeting with downstream towns to discuss a potential burial site for the toxic sediments in their town. Predictably, no town was willing, which left one option–a landfill in Warren County, South Carolina designated by the state and EPA for PCB wastes. Not long after, I learned through national news of a public protest in Warren County, South Carolina led by African American women, who formed a human chain and blocked the entry to the landfill. Their message: stop dumping other people’s industrial waste in our community. The Warren County non-violent protests and marches, with more than 500 arrests, ignited the movement for environmental justice, a movement now linking poor, excessively polluted communities of color and Native American lands in the US with climate justice activists in developing countries disproportionately burdened with drought, growing deserts, food shortages, and sea level rise from climate change primarily caused by wealthy industrial countries. In the 1990s new onslaughts of mal-development in industrial agriculture began. Rachel Carson’s pathbreaking Silent Spring published in 1962 exposed the “chemical rain of death” on farms, forests and yards following World War II, which succeeded in DDT being taken off the US market (while the government allowed it to be manufactured for sale abroad). With the regulatory focus on toxic, long-lived insecticides, which accumulate up the food chain, the pesticide industries turned to research and manufacturing of genetically modified (GMO) seeds, mainly ones that would resist their herbicides. And thus, the pesticide industries morphed into vertically integrated genetically modified seed (GMO) and herbicide companies, which aim to control global agriculture. GMO acreage has grown exponentially worldwide–282 million acres are planted in Monsanto’s GM crops, up 100-fold since 1996, according to Food and Water Watch, together with the use of herbicides, resulting in the vicious cycle of herbicide-resistant weeds (superweeds) requiring greater use of herbicides. Climate change accelerates the Sixth Extinction and ecological collapse, together with pollution, and loss of habitat. Between 1970 and 2010, the population of birds, reptiles, fish and reptiles fell by 52%. A recent study on global fisheries forecasts the collapse by 2048 of “all fish currently caught commercially.” Warming marine waters are pushing fish away from the tropics toward the poles, depriving poorer equatorial countries of their dominant source of protein. The changing chemistry of the warming and more acidic oceans portends an unprecedented loss of the ocean’s nursery and most biodiverse ecosystem on Earth–coral reefs. Climate change is an issue of human survival. At current rates of melting, sea level rise will reach 6 feet minimally by 2100 threatening 1400 cities, among them New York City, San Diego, Boston, Miami, and thousands of cities across the world. New research by James Hansen and colleagues forecasts a marine Armageddon: an estimated several meters of sea level rise within this century with the melting of glacial sheets in Antarctica and Greenland, drowning coastal cities worldwide. Climate change is an issue of justice. We are all on the Titanic, observed Kenyan ecologist Ruth Nyambura at the recent Paris Climate Summit, but the wealthy own the lifeboats. The developing world and the poor–those least responsible for climate change–are the most vulnerable to extremes of climate. Of the 10 most affected countries between 1994 and 2014, nine were developing countries in Asia and Central America and the country of Haiti, which suffered extreme, record-breaking natural catastrophes from intense rain, flooding and mudslides, typhoons and hurricanes. Capitalism wedded to delusional American manifest destiny–including our fatuous decades-long effort to control of the Middle East and recent militarized pivot to Asia–meets its limits in Nature. Either we heed those limits immediately and aggressively, or we face an ecocide from which not even those who own lifeboats will escape. Always, indigenous peoples have grasped this. In their dramatic presence at the Paris Climate Summit, they exposed most clearly and cogently the root causes of climate change: namely, that Western science, technology and capitalist economies regard Nature/Mother Earth as a lifeless trove of commodities–minerals, metals, coal, oil, gas, uranium and water–to exploit ruthlessly and relentlessly for amassing wealth. Their primal message to the world is that the Earth is our sacred source of life and that the dominant worldview commodifies nature and subordinates all other rights–human rights and the rights of nature–at our peril. Prescient children understand this. Twenty-one young people, members of Our Children’s Trust, have filed a landmark climate change lawsuit in all 50 states against the federal government on the grounds that the government’s continued exploitation of fossil fuels violates the rights of the next generation to a stable climate and healthy future. Oregon’s Federal District Court Judge Thomas Coffin has ruled against the federal government’s and fossil fuel trade associations’ motions to dismiss the case, deciding in favor of the plaintiffs. Pat Hynes, a retired environmental engineer and Professor of Environmental Health from Boston University, directs the Traprock Center for Peace and Justice in western Massachusetts. Her current work includes Renewables Are Ready. Democracy Now coverage of Paris Climate Summit: November 30-December 12, 2015.